The Workflower ganging-engine is designed as a black-box with simple interfaces. It is not an application on your computer, with a lot of screens and clicks overcomplicating the tasks and making you lose overview of tasks. This engine has only two simple input files and 1 result file. That's all there is to it! (*) This means it can easily be integrated into an MIS or a prepress-system. The simplicity of our engine may be demonstrated by using our portal. (*) There is a 3th static input file on the background describing your production configuration and preferences. 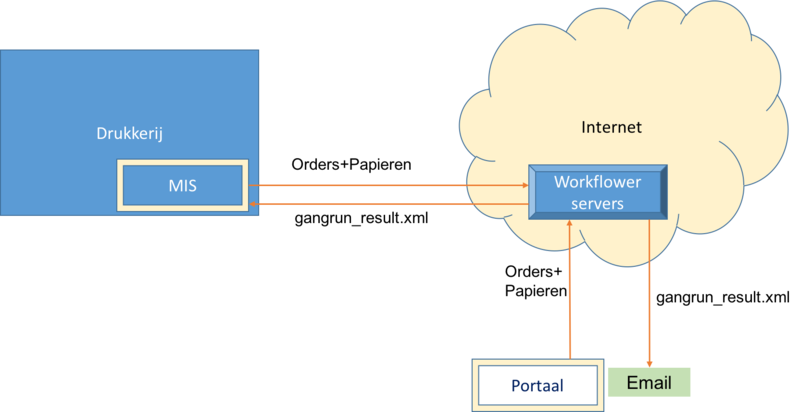 The Workflower ganging-engine is available as a SAAS-solution (Software As A Service) on the internet.